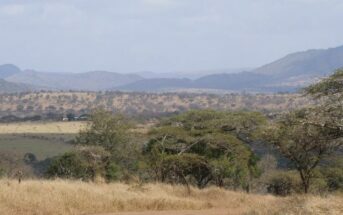 The name Spionkop or Spioenkop – ‘Spy or lookout hill’. 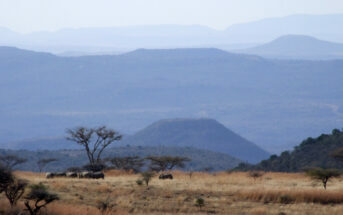 The name Spionkop – Lookout Hill was given to this impressive hill by the Voortrekkers in 1837. This was the original Dutch spelling and is still the English version. Spioenkop : Spy Hill is the term used by the Afrikaans speaking people of South Africa. 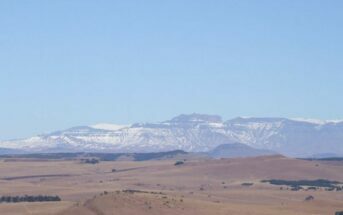 Spioenkop (Spion Kop) is a small hill on the Tugela River, a few miles south-west of Ladysmith, Natal Province, in South Africa. During the Second Boer War (South African War) the hill was the scene of a Boer victory over the British on 24 Jan 1900. In the battle, a column of British troops attempting to relieve Ladysmith under General Sir Redvers Buller was repulsed by a smaller Boer force. Did you know: that future famous world leaders General Louis Botha, the Union of South Africa’s first Prime Minister who helped draft the constitution of the League of Nations; Mohandas Gandhi, later the Mahatma and Winston Churchill, Britain’s most famous Prime Minister all were present at the Battle of Spionkop.